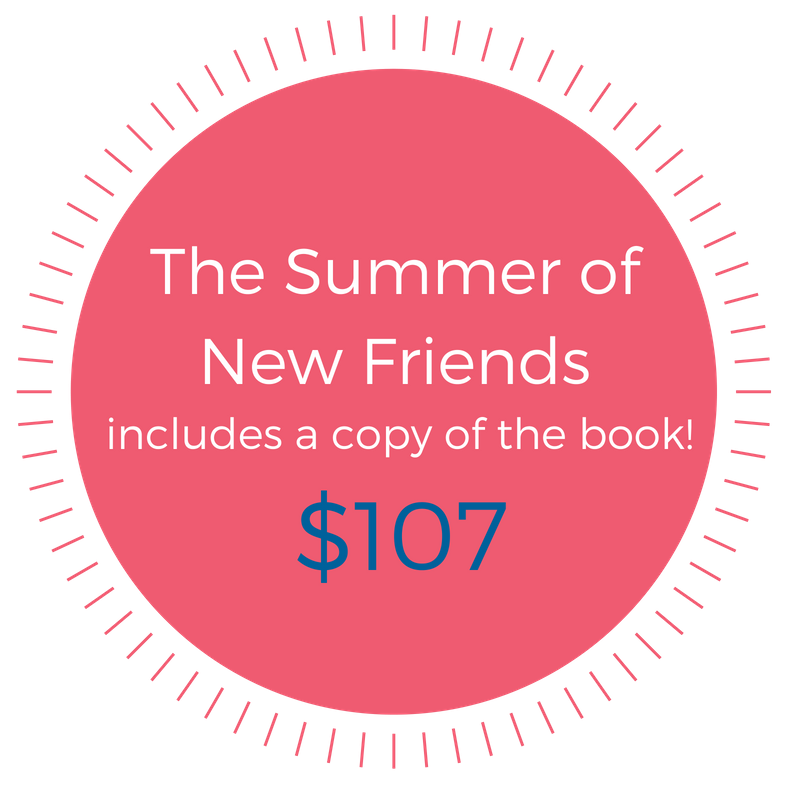 Let's Make New Friends this summer! YAY!!!! ***If you choose the option that includes a book, watch for a follow-up email with instructions asking you if you would like a paperback copy or e-book as you'll need to provide your address of choice. And unfortunately, at this time, we can only send books in the U.S. Sorry! We GIVE 100% REFUNDS IF YOU FEEL LIKE WHAT WE OFFER ISN’T WHAT WE PROMISED! If you go through at least 4 weeks and feel that we didn’t deliver what we promised then by all means send us your completed worksheets from the first 4 weeks, along with a note clarifying where you feel we didn’t live up to our commitment, and we’ll refund you the total amount--including the cost of the book (which you can keep)! Promise! What we don’t give refunds for is if you don't make the time to participate. Just as a health club doesn’t give a membership refund simply because you never got around to going, we don’t give refunds based on you not valuing your intention. We believe that your purchase is your stake in the ground saying, “This subject is important to me” so we want to honor that and help incentivize you to lean into that commitment.